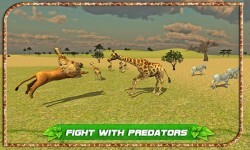 Ultimate Giraffe Simulator!!! Do you want to be a Giraffe? Get ready to experience the life of a giraffe in this wild animal giraffe game simulator. This Ultimate Giraffe Zoo Animal simulation game gives a chance to learn the life of a giraffe in jungle rather in a zoo cage. 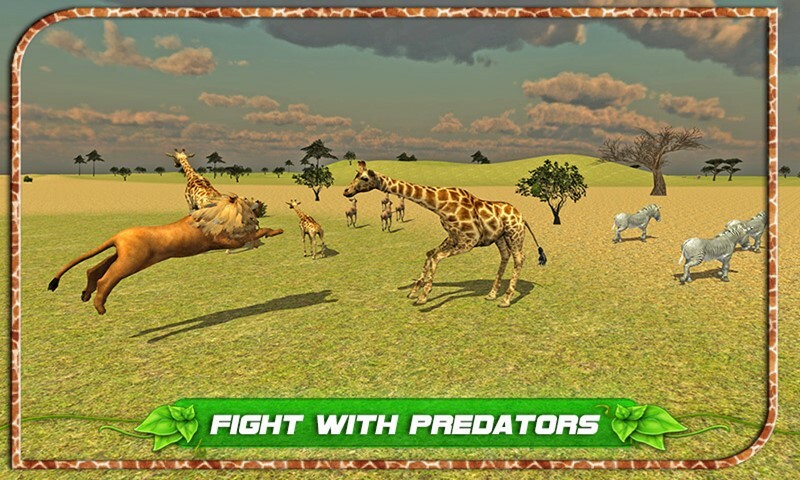 Act like a giraffe in a forest and try to escape from the wild animals like lion, wolf, cheetah, tiger, crocodile, hyena, bear, boar and many other wild forest animals. you may also find other forest animals like zebra, deer, impala and stag. 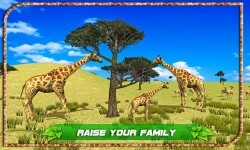 This Giraffe Simulation Game gives you opportunity to learn the life of most amazing animal on earth. Roam around and find your food when you hungry or move towards a river when you are thirsty. 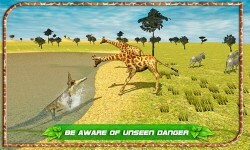 you may also be attacked by the wild animals like lions and cheetahs, tiger or leopard when you are searching for food. be aware of crocodile that has camouflaged in the water while you are drinking water in the pool.